A survey from Heritage Open Days has revealed how the festival that helps connect communities and places also boosts personal wellbeing and local economies. Researchers talked to visitors who enjoyed free access to sites and happenings of historic or cultural interest across England during Heritage Open Days in September 2015. 85% said that visiting a Heritage Open Days event had helped them to relax, keep active and healthy or feel better about themselves. It also demonstrated that Heritage Open Days acts as a gateway event for people to the sector with 36% of visitors not having been to a heritage site in the past year, and 85% feeling inspired to visit such in the future. Participation can change people’s perceptions and behaviours: following their visit, eight out of ten people felt inspired to explore their local area, while an even larger percentage experienced a greater connection with their historic environment (83%) or an increased pride in their area (85%). For the first time the survey also assessed the festival’s economic impact, revealing it contributed over £15million to local economies. With an estimated £9 million spent on food, shopping, travel or accommodation as part of people’s trip to the local area, supplemented by a further £7 million of secondary spend on refreshments, souvenirs or books at individual events. 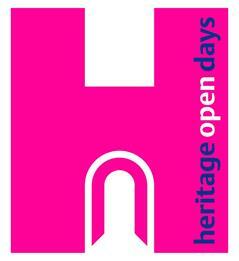 Once a year, Heritage Open Days showcases the treasures on our own doorsteps that many take for granted. Often people are living within a stone’s throw of an interesting site but wouldn’t consider paying to visit somewhere in their own town or region. Being completely free of charge, the festival removes a potential barrier that may be stopping people from accessing their local heritage.